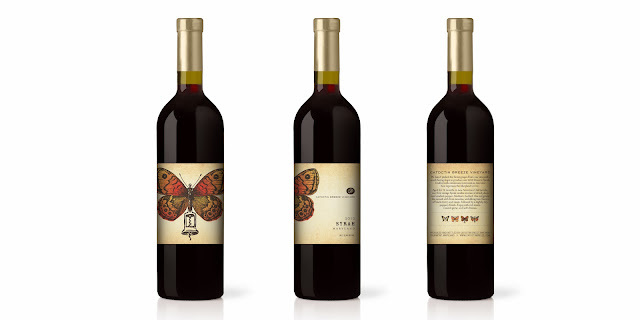 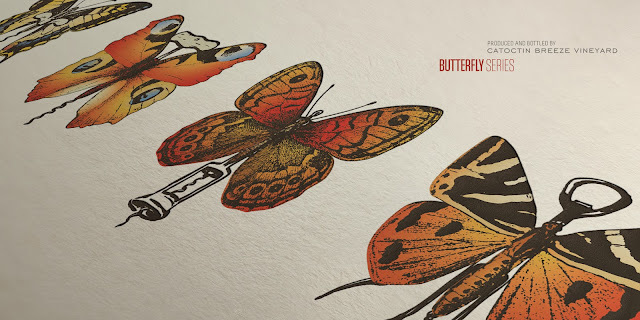 The Catoctin Breeze Vineyard Butterfly wine labels were created for Catoctin Breeze Vineyard's reserve wines. Catoctin Breeze Vineyard produces a range of varietal and blended wines, as well as a selection of honey wines, known as mead. 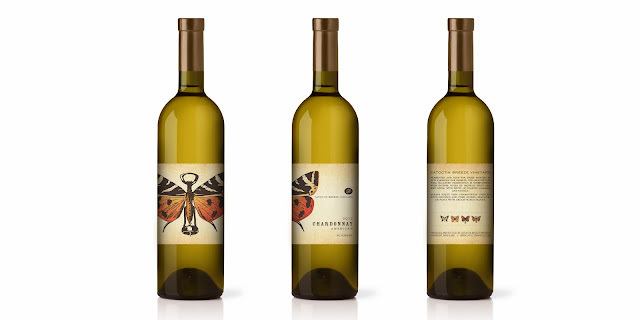 Nestled among the beautiful rolling hills of the Catoctin Mountains, our vineyard receives a constant mountain breeze. This breeze, coupled with limestone soil and southern exposure of the vines, provides a unique and perfect place in Maryland for growing grapes of exceptional quality. From thoughtful attention to the vines, careful selection of fruit, and gentle winemaking methods, our commitment to producing the finest quality wines is reflected in each bottle.